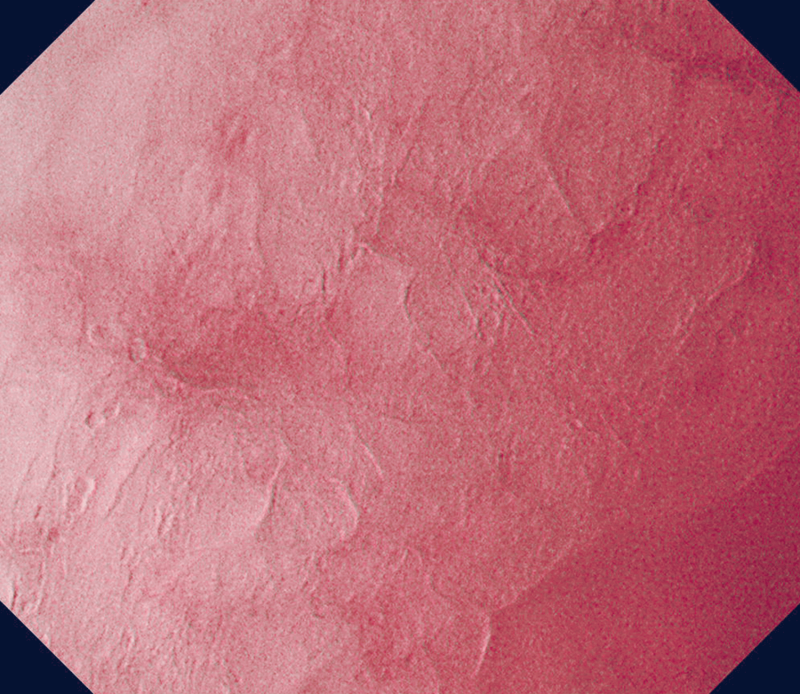 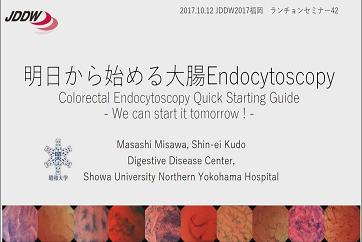 Introducing Endocyto, Olympus has broken a new ground in endoscopy. 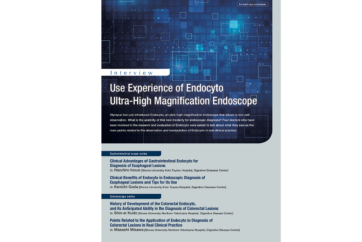 Ultra-high magnification with up to 520x magnification ratio enables observation on microscopic level and helps to improve diagnostic accuracy. 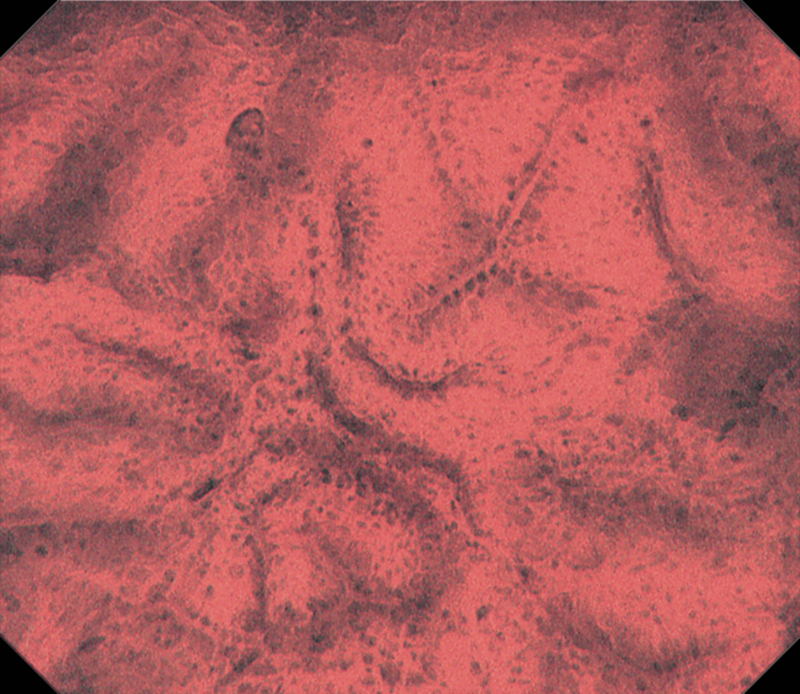 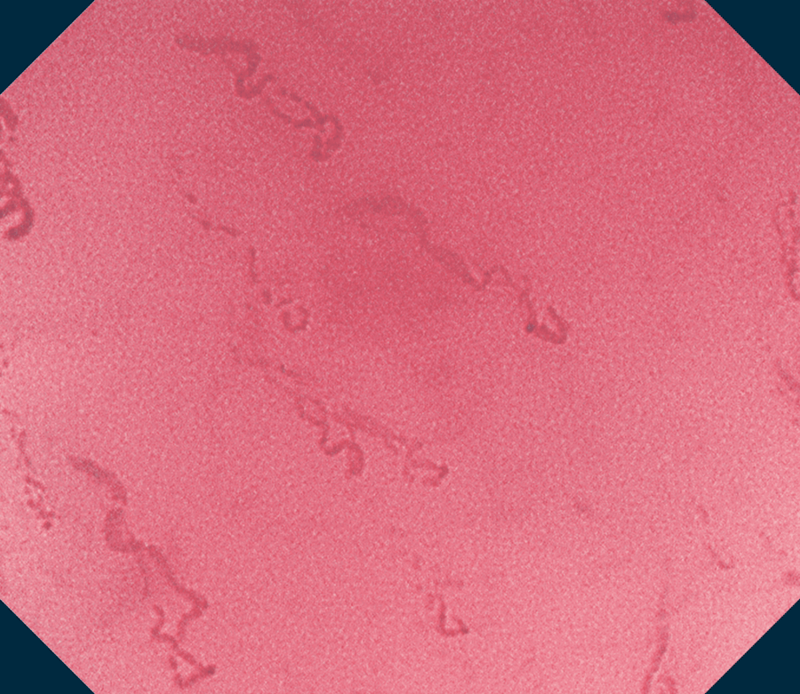 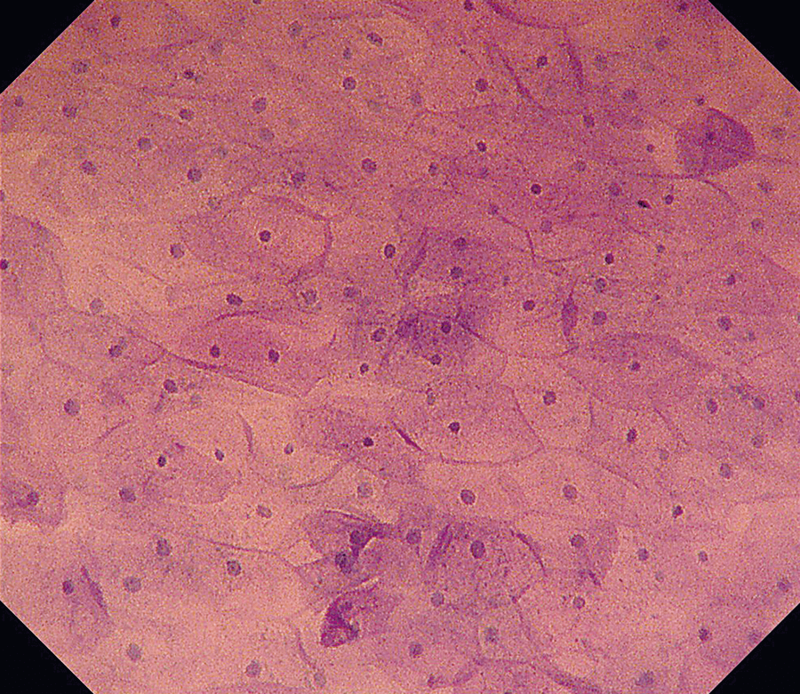 Cell nuclei are stained with an appropriate dye. 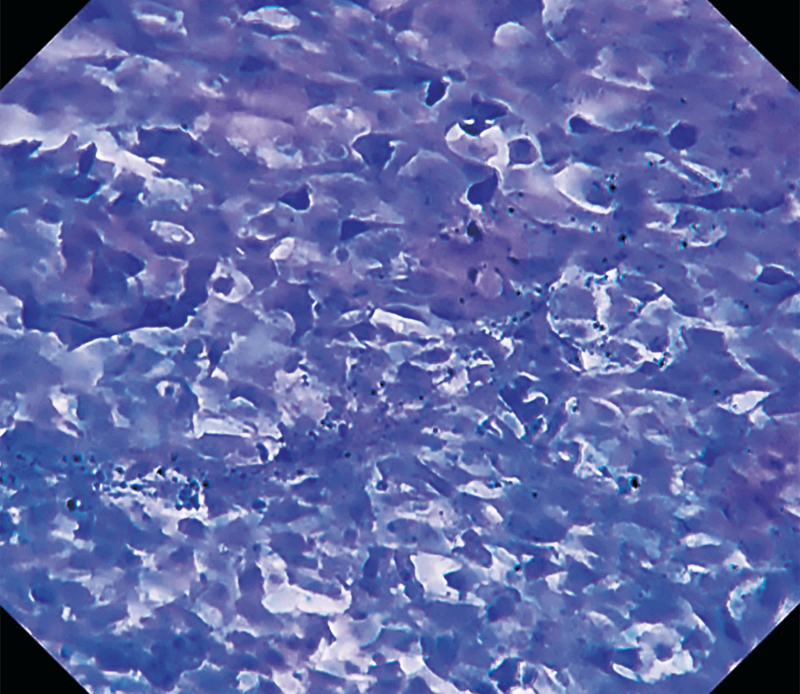 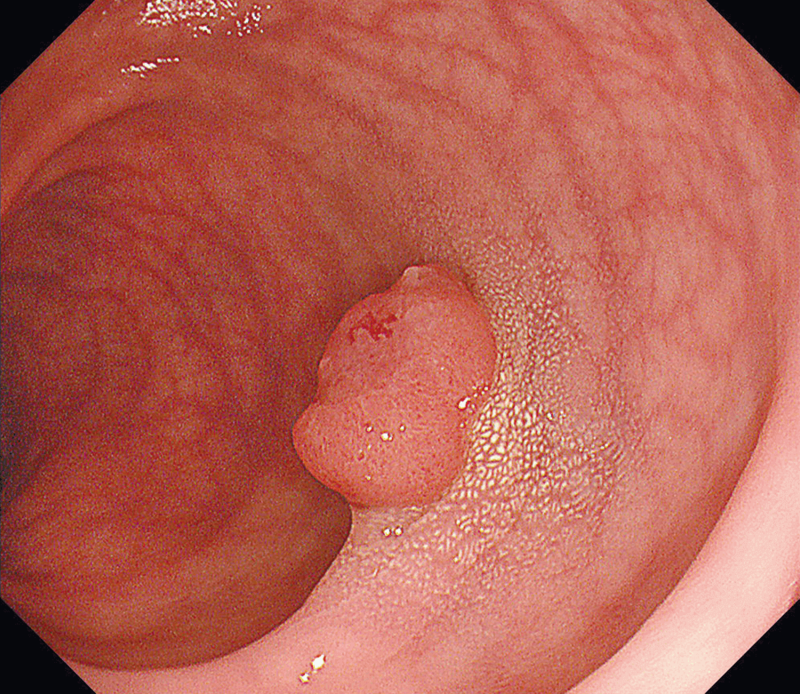 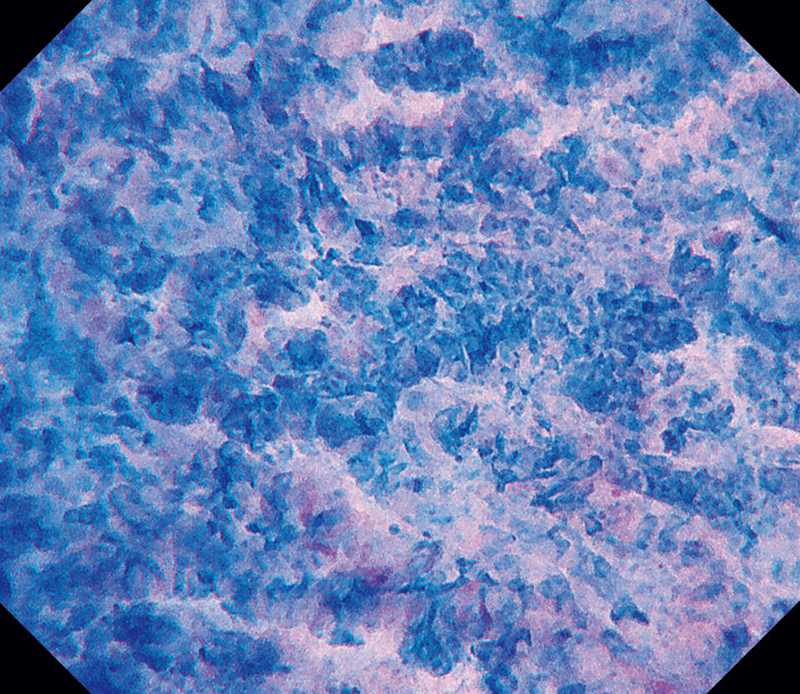 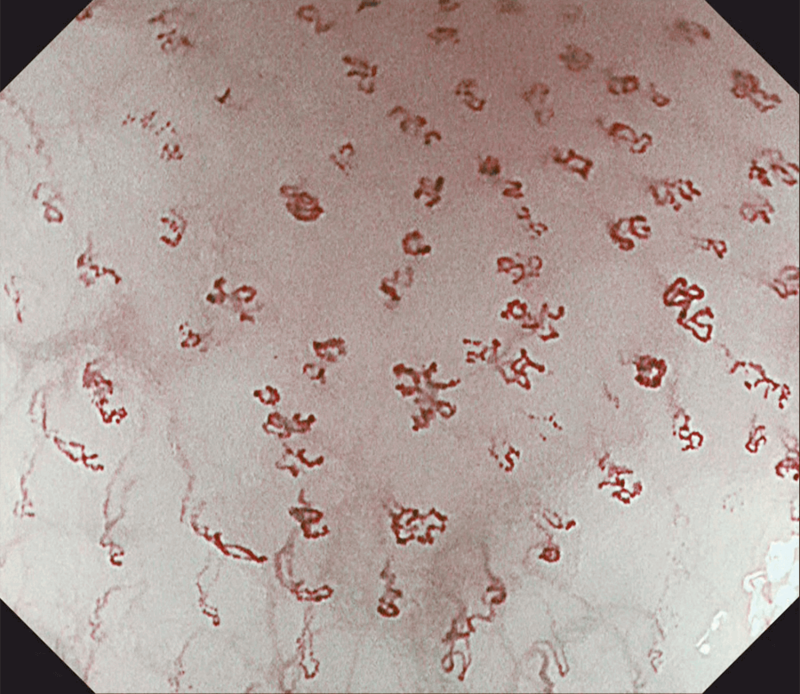 The objective lens is then brought into contact with the mucosa to observe the cells of the superficial mucosal layer. 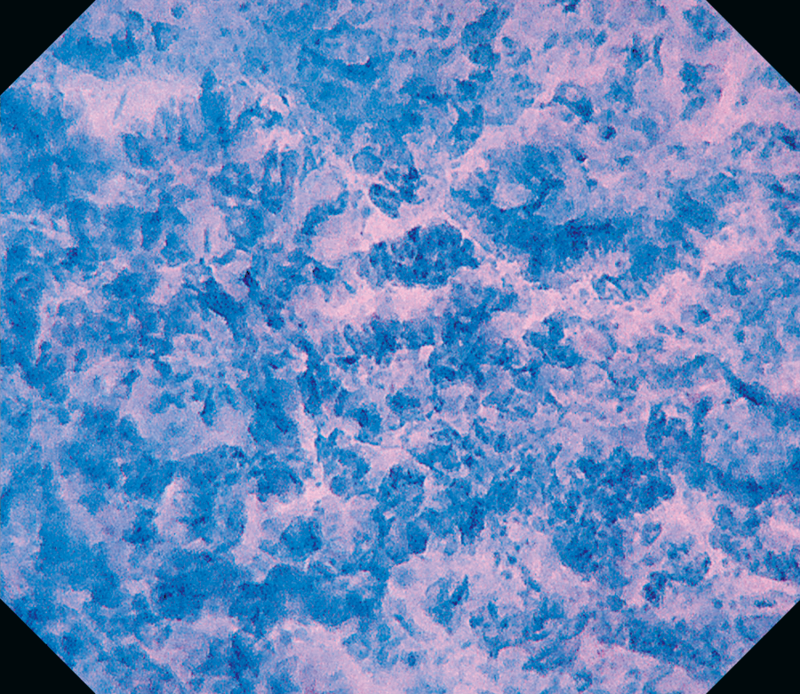 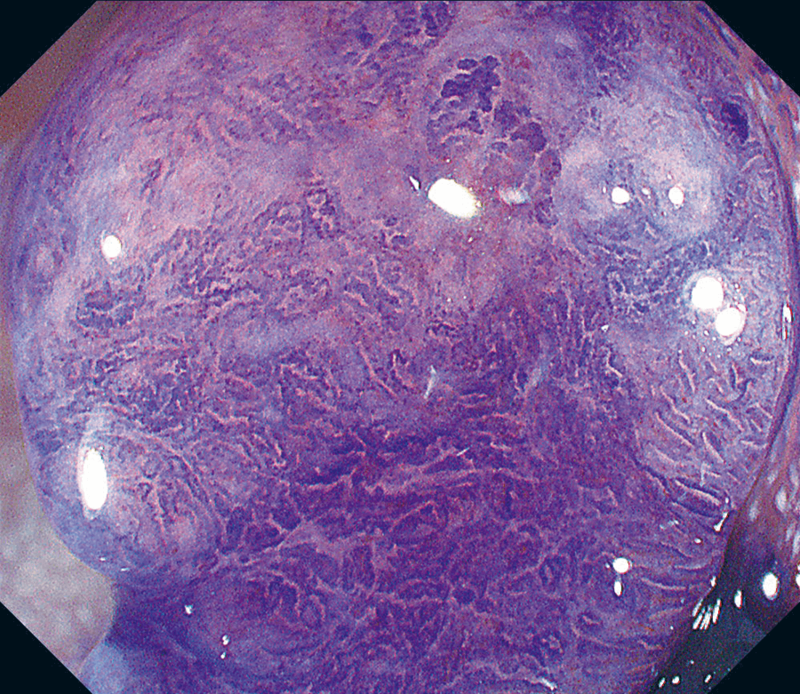 Light emitted by the light guide is sent into the cells and partially returned as scattered light, facilitating cytological observation of the superficial mucosal layer. 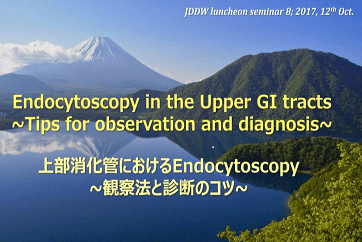 The Endocyto gastroscope incorporates a broad range of observation modalities including magnifying NBI and 520x magnifying Endocyto observation for lesion assessment. 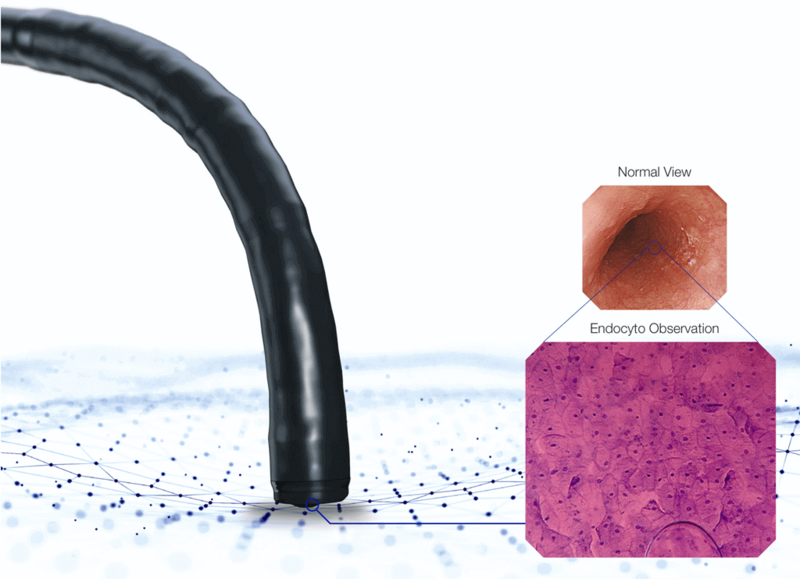 Combined with a slim diameter of 9.7 mm, this versatile endoscope can be used in all different diagnostic gastroscopies from routine examinations to cutting-edge diagnosis. 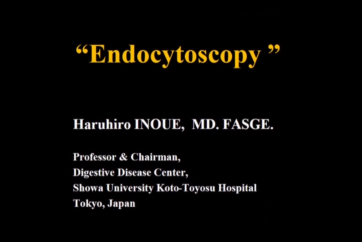 The Endocyto colonoscope is combining cutting-edge observation with proven insertion technologies to support patient-friendly high-quality colonoscopy. 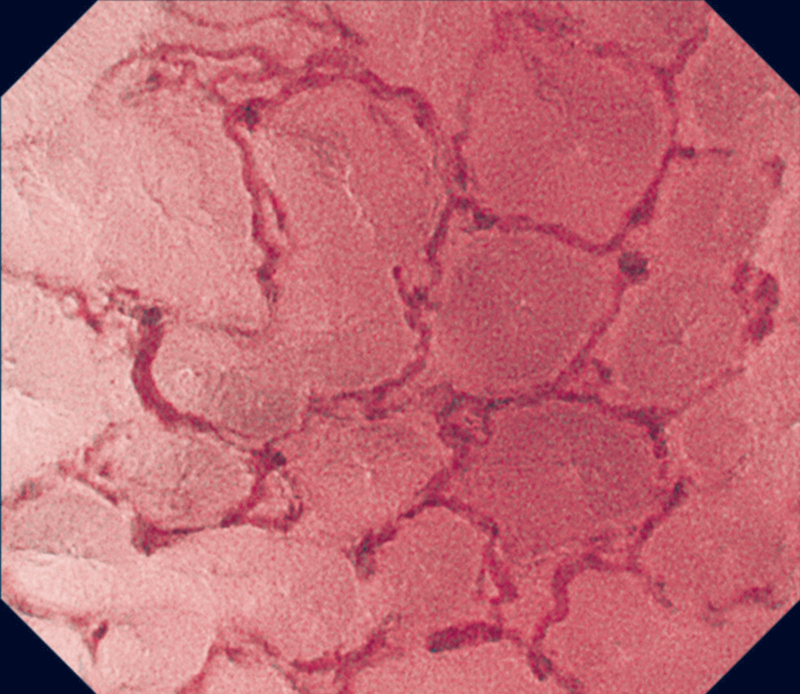 Magnified NBI and 520x magnifying Endocyto observation support precise diagnosis of colorectal lesions to streamline therapeutic intervention. 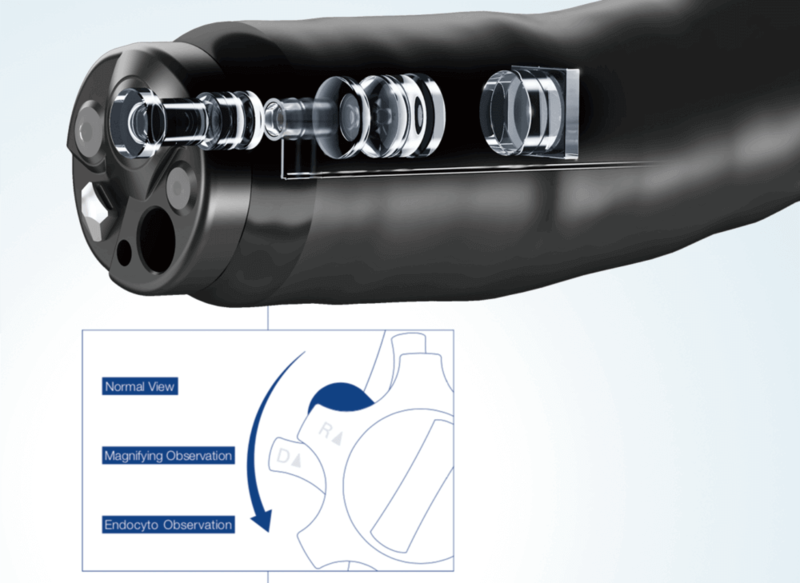 High Force Transmission and Variable Stiffness facilitate smooth maneuverability in this 12.8 mm slim-caliber colonoscope.